This Saturday, May 2nd, we encourage you to make your way to Virginia Beach Oceanfront (17th Street) to experience a visual feast at the 11th Annual Atlantic Coast Kite Festival! 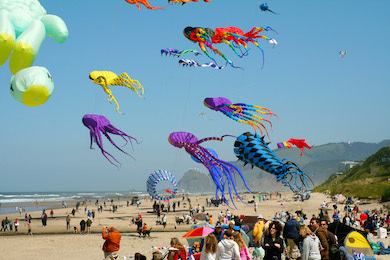 This popular event is from10:00am-4:00pm and is great for any age and all levels of kite enthusiasts. You can even enter the “Best Kite Contest” where you can make your own kite and fly it at the festival! This contest has divisions for all ages, is free to enter and takes place from 1:30-3:00pm! Awards will also be given for youngest & oldest kite fliers, funniest kite, most unusual kite, and largest kite. Admission is FREE, so we hope to see you all here for this spectacular event!